This example is a Single-Sideband (SSB) AM radio receiver. SSB is commonly used by amateur radio operators on the HF band, and sometimes on the VHF and UHF bands, for voice and digital (modulated in the audio) communication. 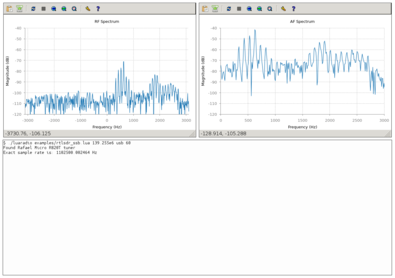 This example uses the RTL-SDR as an SDR source, plays audio with PulseAudio, and shows two real-time plots: the RF spectrum and the demodulated audio spectrum. 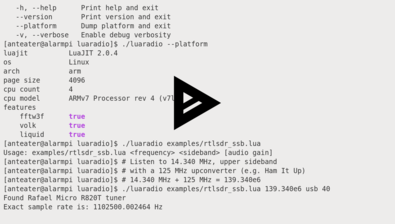 This single-sideband demodulator composition is available in LuaRadio as the SSBDemodulator block. 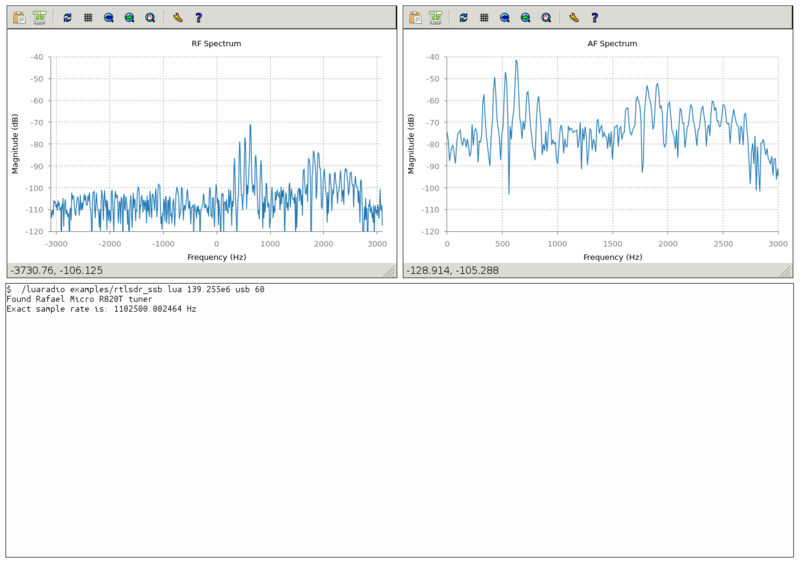 Running this example in a headless environment will inhibit plotting and record audio to the WAV file ssb.wav.